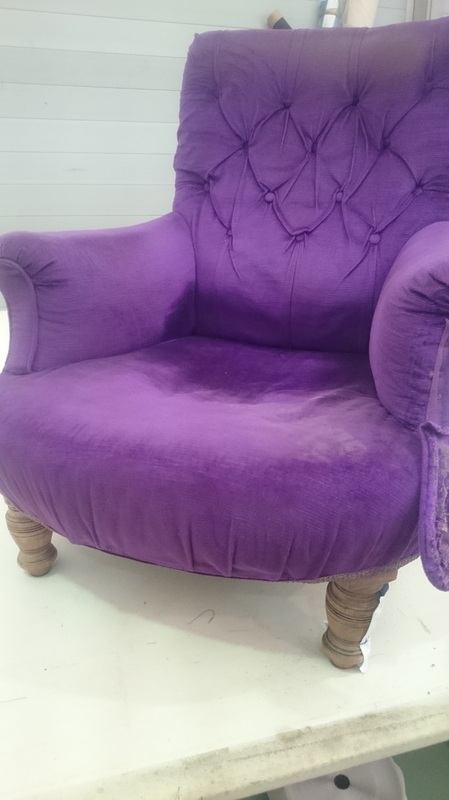 "The Bite" Wing Back Chair. 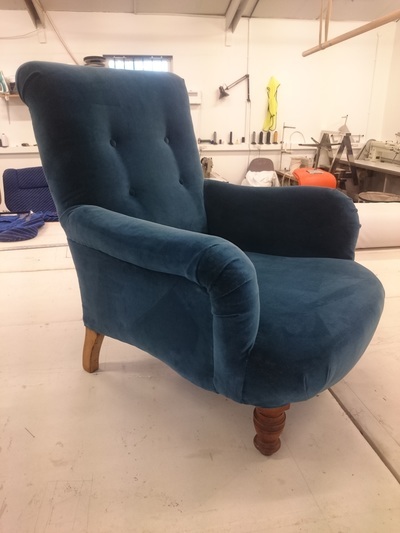 Bite Wing Back Chair. This is the first version of this design. Here Matt has used an existing frame. All future version the frame will be built by him. As with all designs this one is currently being streamlined for production at a higher rate, whilst keeping all of the high quality finish. As with any of these designs, If you would like one made please contact Matt for more information. ﻿﻿Extending Flexing Modular Seating System. Enough detail in initial design meant it achieved all of the objectives desired from the first build. Public testing yielded fantastic results. The traditional feel to the finish also meant that it blended into established interiors naturally. 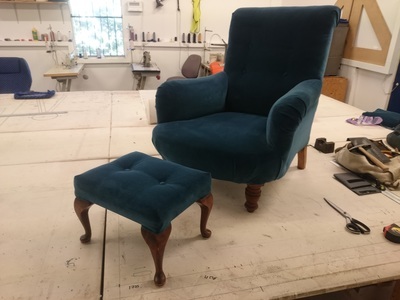 The next build the intention is to refine the wood construction process to make it faster, and also introduce sprung seating to make it more suitable for the home market. This video shows the mechanism that joins and articulates the separate sections of the sofa. Table bought in a lot from auction. It'd seen better days as a table, but made a great seat! .... and pouffe made from scratch to accompany. 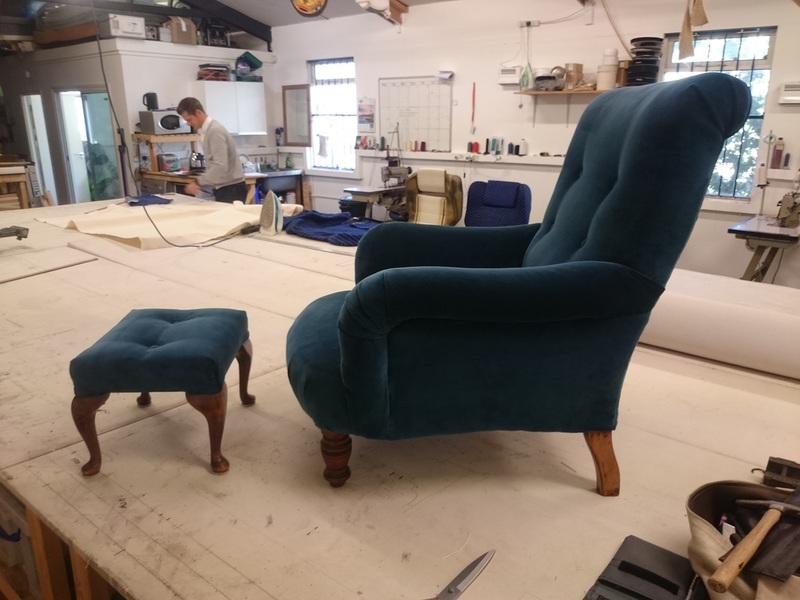 Client required an old chair altering to fit with a different sofa design. Arms were rebuilt into a different style and the whole chair reupholstered. I decided a more modern button position would suit the new style. 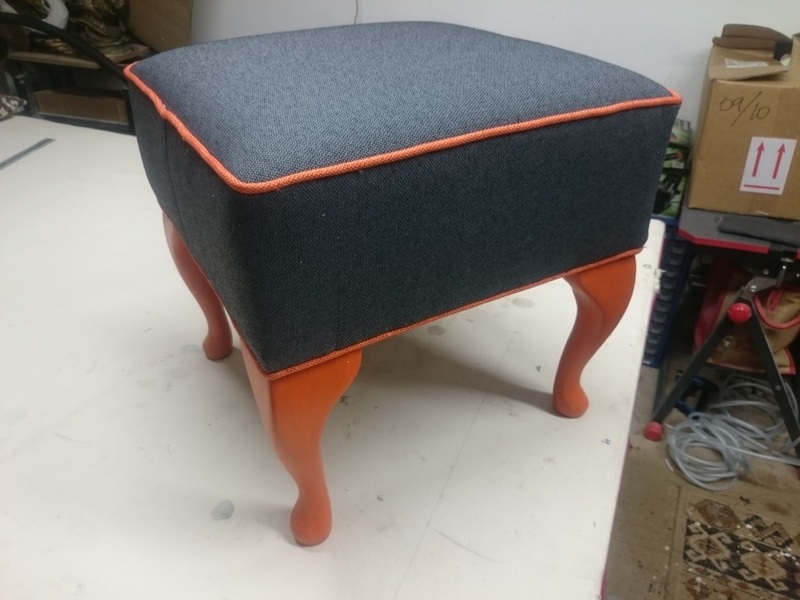 Buttoning carried through to a complimentary pouffe.